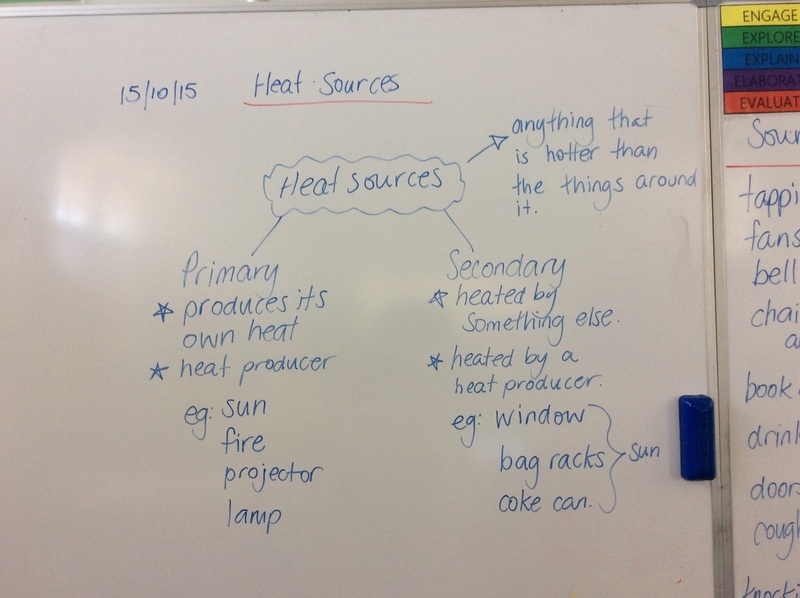 This week we start our hands-on activities around heat and heat sources. We will start investigation primary and secondary heat sources. Parents and students, please feel free to give me feedback on the site, positive or critical. Help me iron out the creases during the implementation phase! You can contact me anytime via the contact form on the HOME page. This week I have an activity I'd like you to do at home, in addition to watching a video. Please click on this link to find your instructions and answer a couple of questions. This will take you to google forms. You do not need a login to answer. This week, we talked about heat sources and went searching in our classroom areas and outside to find as many heat sources as we could. To find heat sources we felt lots of things and surfaces to see if they felt warm or hot. Mrs Marini showed us how to feel for heat sources safely. 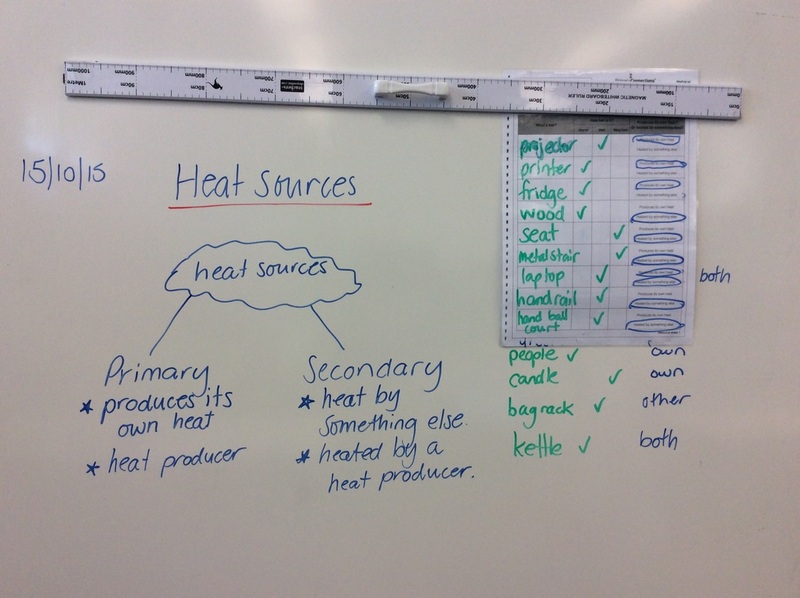 Once we had identified all our heat sources we sorted them into two categories - things that can produce their own heat, and things that are heated by something else. We learned that heat sources that produce their own heat are called primary heat sources or heat producers, and things that are heated by something else are called secondary heat sources. This week we will begin recording our observations in a table. This is a science literacy that we use often when doing an investigation to collect data (information) from the investigation. Why do we use a T-chart? We use a T-chart to organise information so that we can understand it more clearly. What does a T-chart include? A T-chart includes two columns with headings. Information is put into the columns based on the headings.